Chrysler owners in the Scottsdale and Tempe regions know the place to go for auto repair is JW Auto Care. Our staff of highly-trained, ASE-Certified auto mechanics will efficiently diagnose whatever system is acting up in your Chrysler. Our goal is to have you back on the road, feeling confident because of the 3-year/36,000-mile nationwide parts and labor warranty we provide with most repairs. “Probably the most caring and honest auto care place I've been to! I went into JW auto from a referral to get an alignment and they did a full inspection. They let me know that an alignment would be a waste of money because of a bigger issue the car had. My car is 15 years old so it made sense that it needed some new parts. They got it in and out in a day and even washed my car. A little surprise thank you rose was in the seat as well, nice touch. Another amazing thing that no other auto place does is check up to see if their handy work went well, thank you, Johnny!” -- Kathleen T.
Kathleen’s experience was typical of the kind of treatment our customers receive every day. While your Chrysler is being repaired by our auto mechanics, we pamper you in our comfortable waiting area, where you can plug into free WiFi and enjoy complimentary refreshments. If you have your kids with you, they’ll love watching a movie or playing with the goodie bags we provide for them. And if your Chrysler’s auto repair takes a little longer, we will be happy to take you where you need to go in the Scottsdale and Tempe areas in our shuttle. 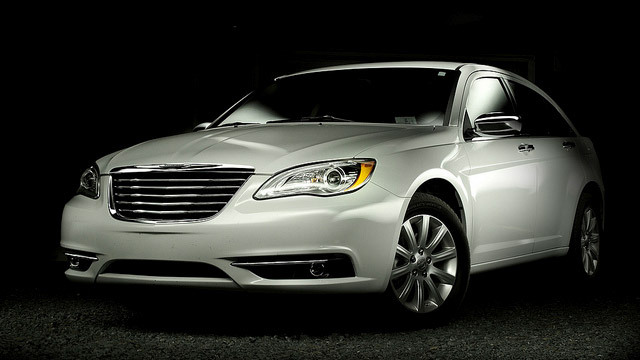 We also have loaner vehicles available on a first-come-first-served basis. So when your Chrysler is in need of the best in auto repair, call us or schedule an appointment online. JW Auto Care is located at 3011 N. 73rd Street, Scottsdale, AZ 85251. Scottsdale and Tempe Chrysler owners have come to trust the mechanics of JW Auto Care with all their auto repair needs.